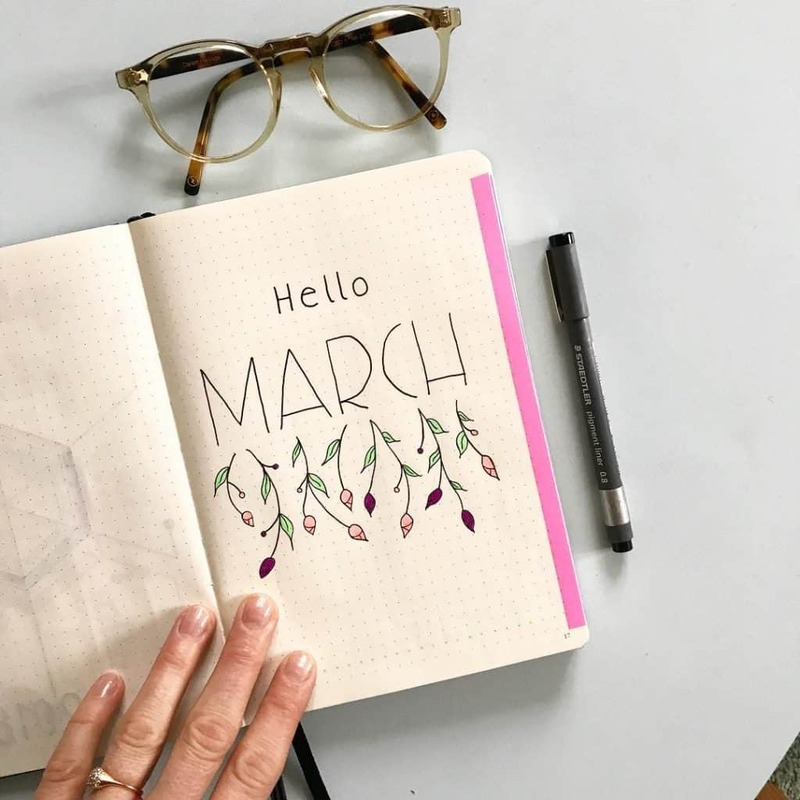 You are here: Home / Month / 20+ March Bullet Journal Spreads and Plan with Me video! 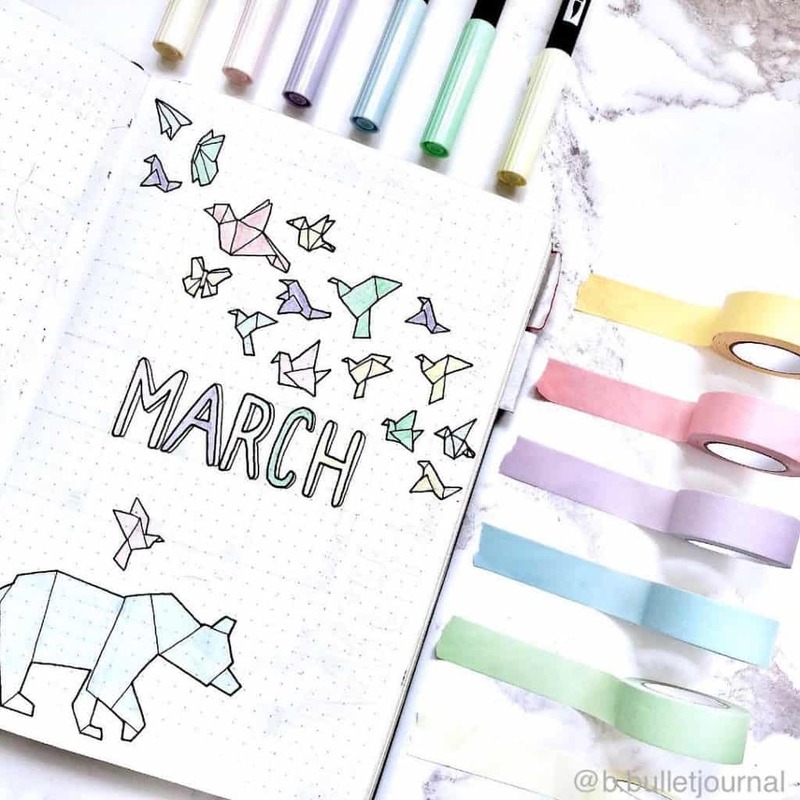 20+ March Bullet Journal Spreads and Plan with Me video! 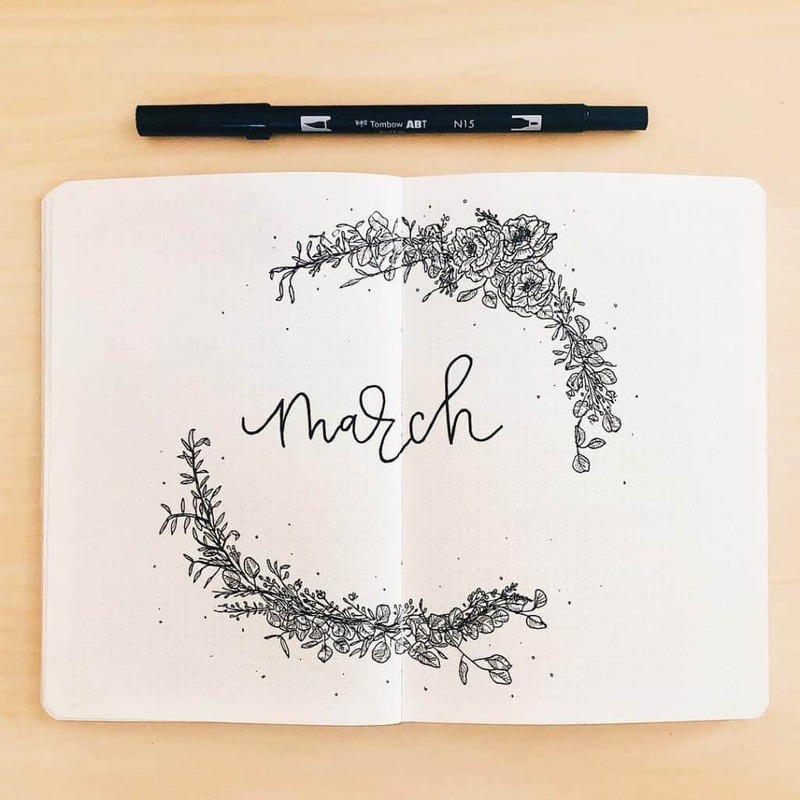 Hello March you gorgeous thing! 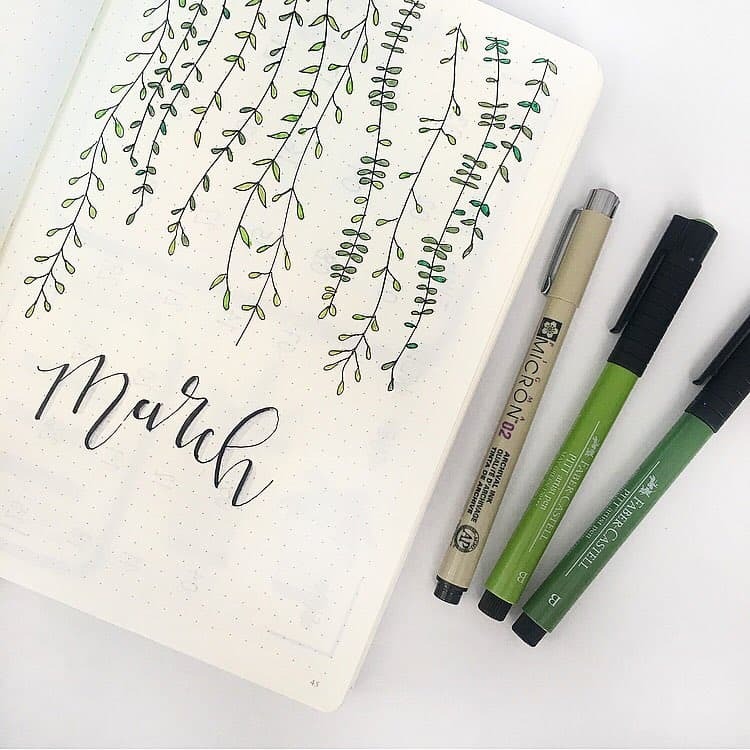 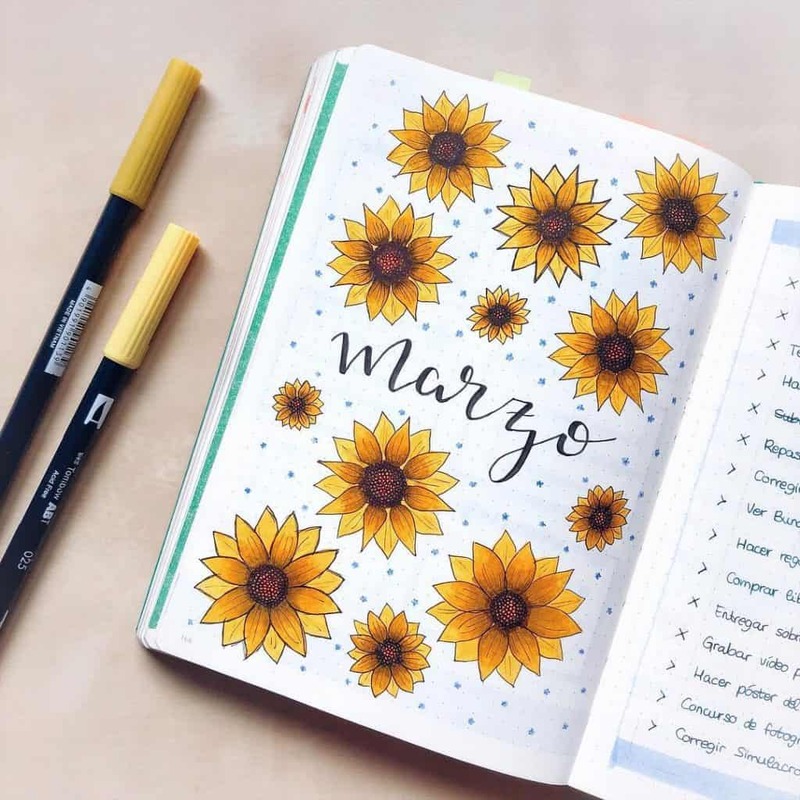 If you are looking for some march monthly bullet journal ideas you have come to the right place! 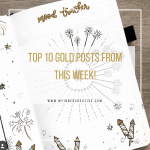 We will help you hit all those fun creative marks – some simple – some complex! 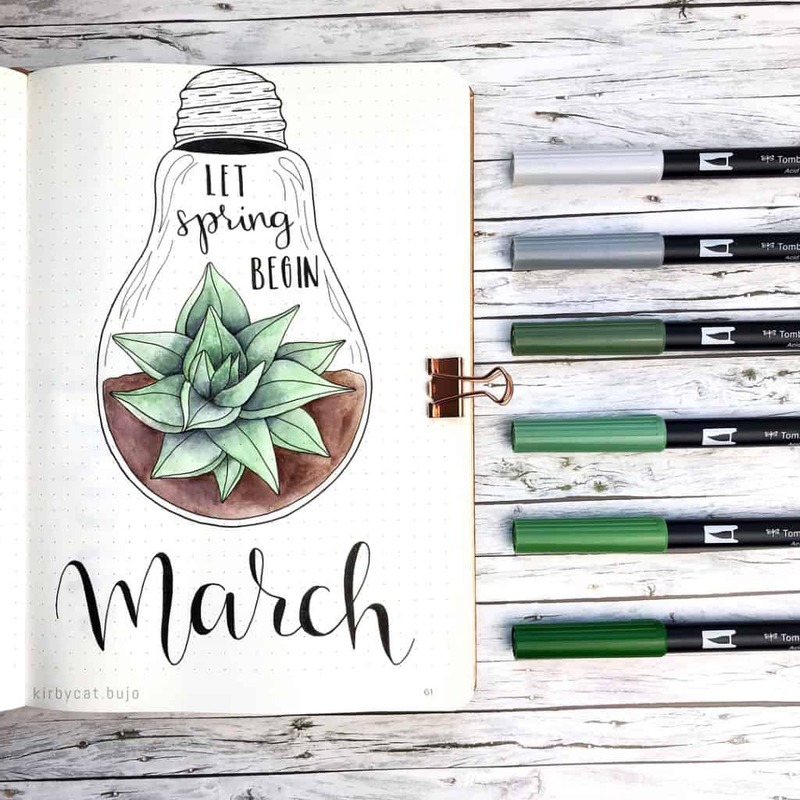 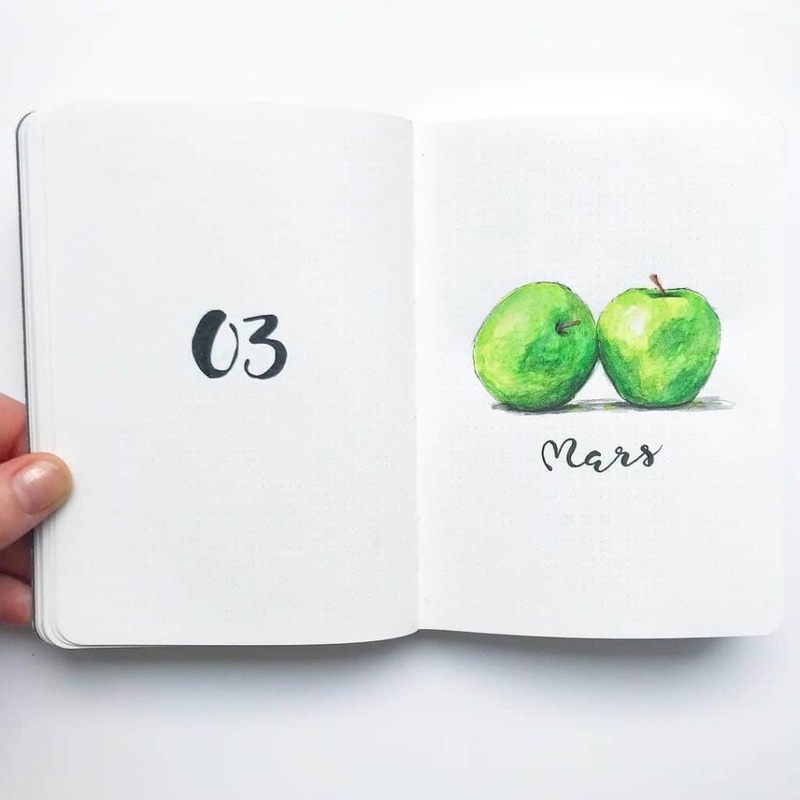 But over all you will see some gorgeous March bujo Spreads that will blow your mind! 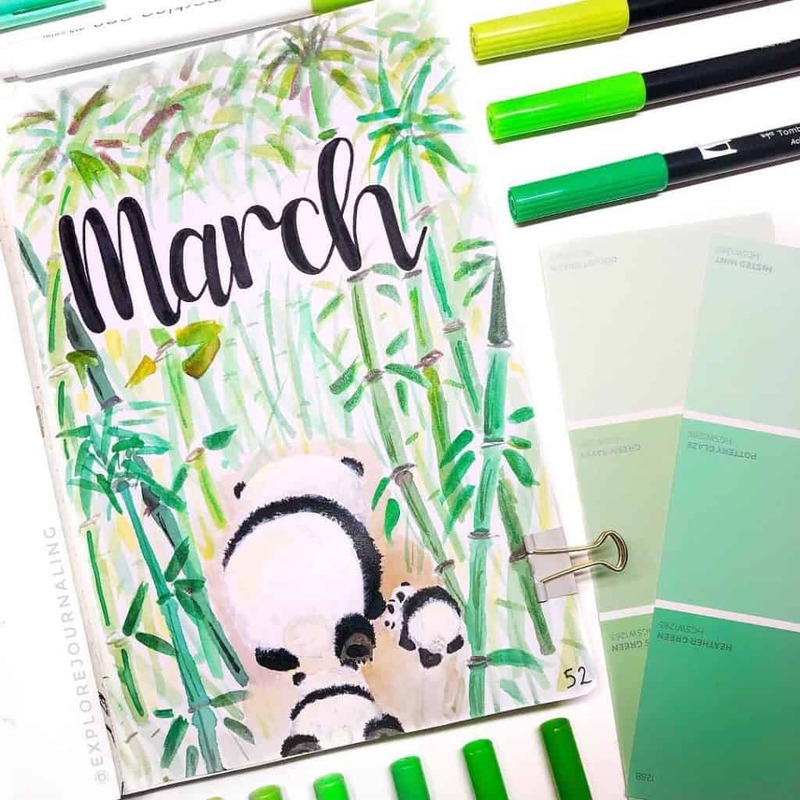 For our March plan with me, head to the bottom of the page! 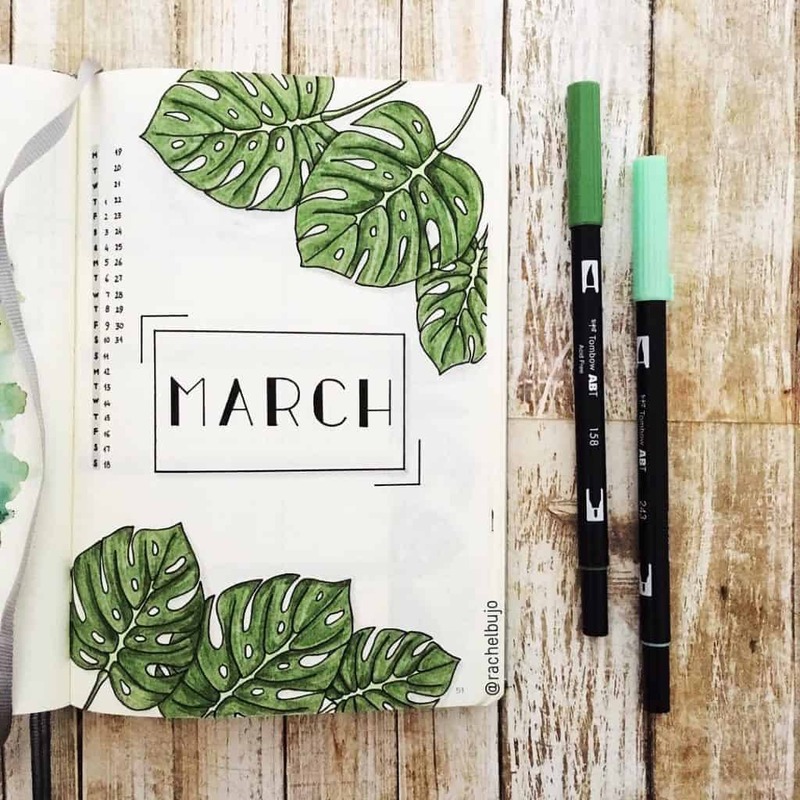 We also have 20+ amazing march spreads for you to drool over! 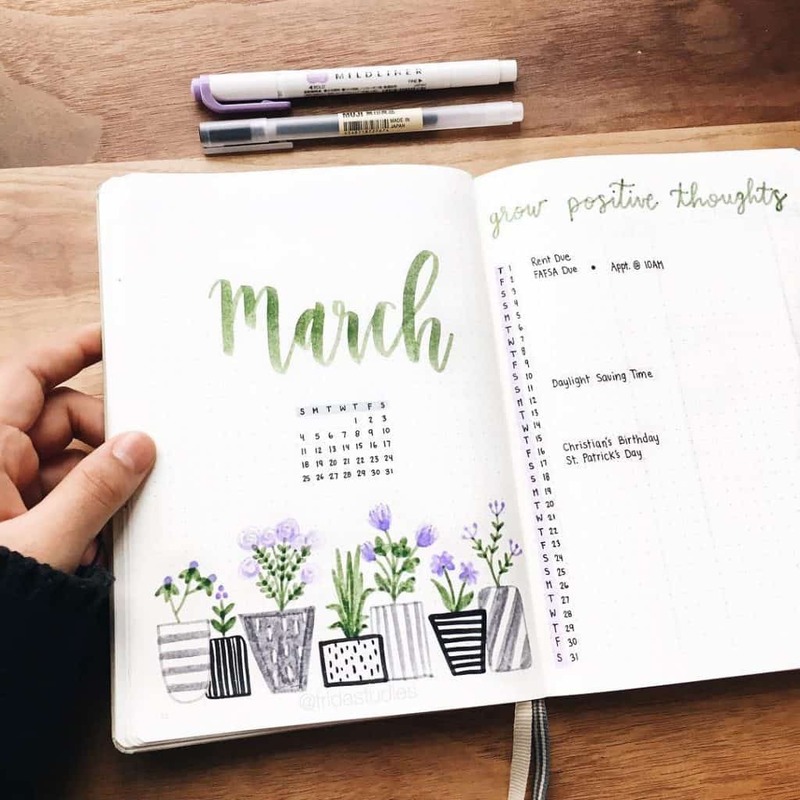 Each year March and June end on the same day of the week. 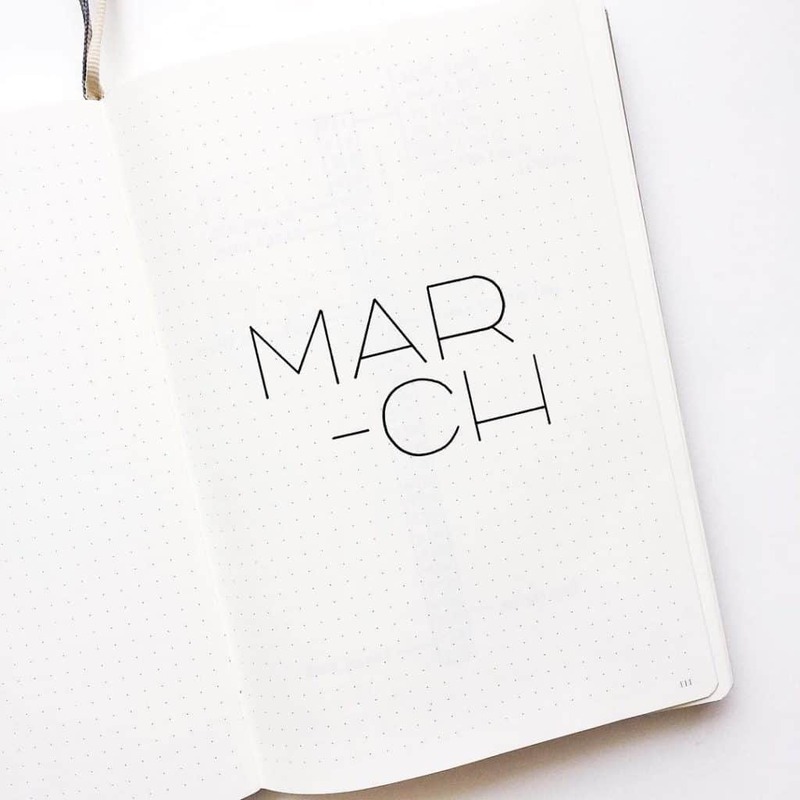 The word ‘March’ comes from the Roman ‘Martius’. 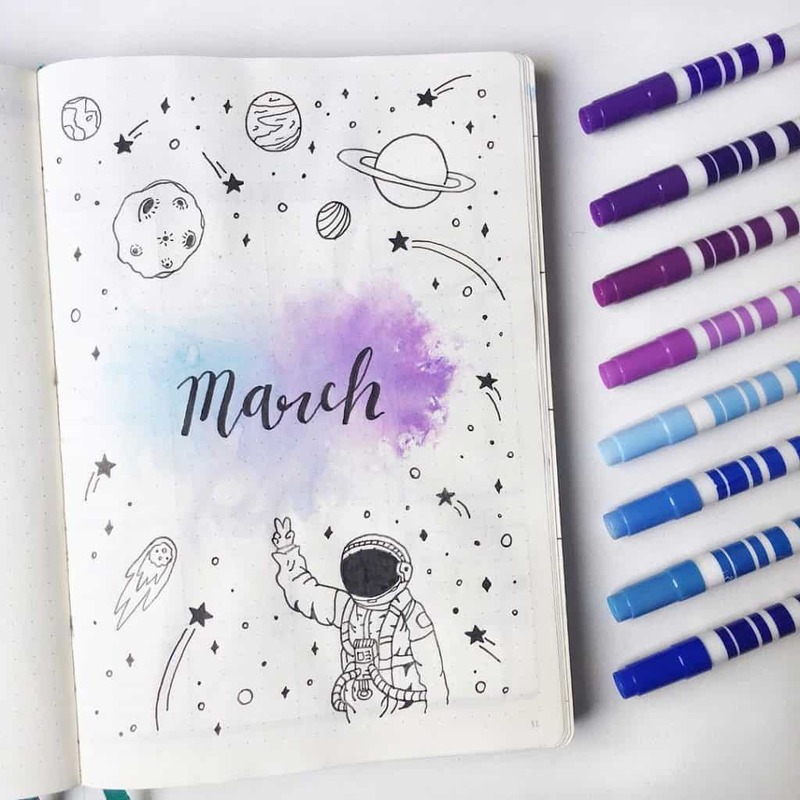 This was originally the first month of the Roman calendar and was named after Mars, the god of war. 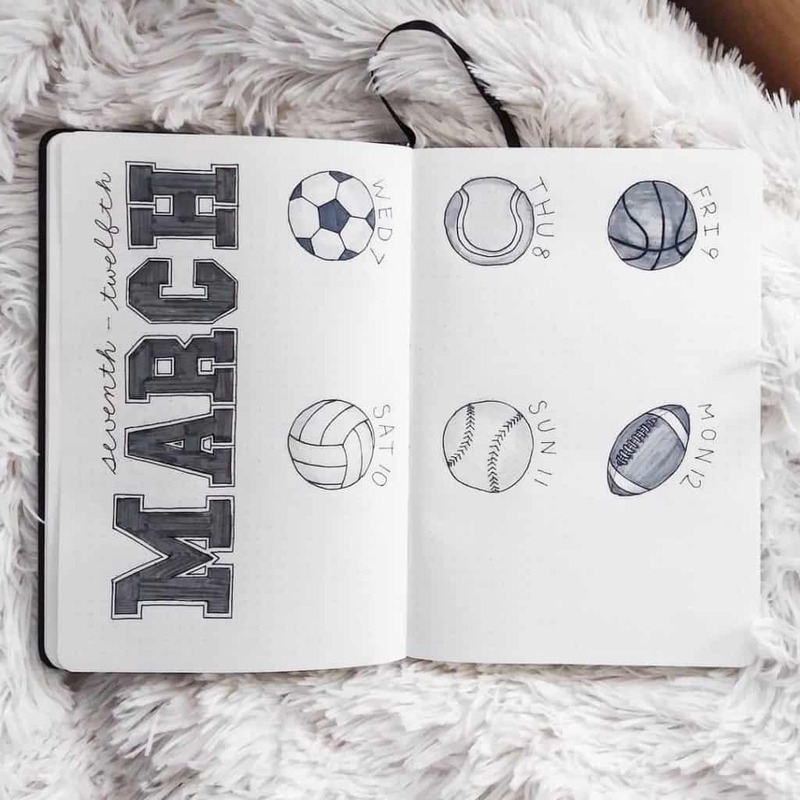 In March 1995 – Yahoo! 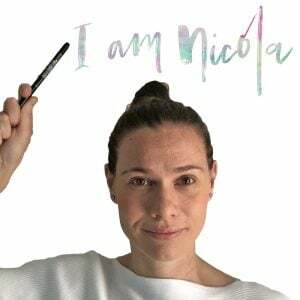 was incorporated. 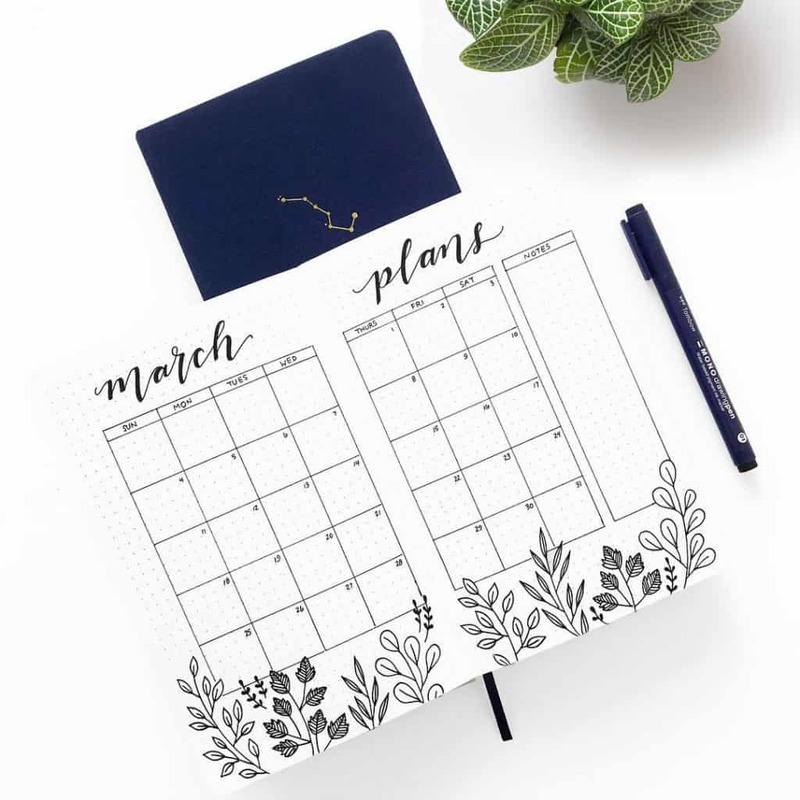 In March 1602 – The Dutch East India Company was established. 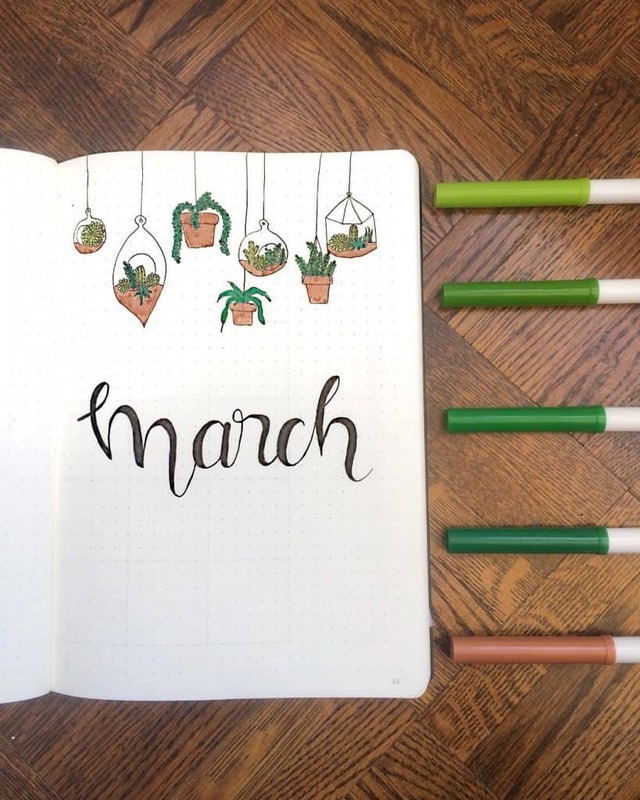 For my March spread this month, I wanted to actually practice my video making more than anything else haha! 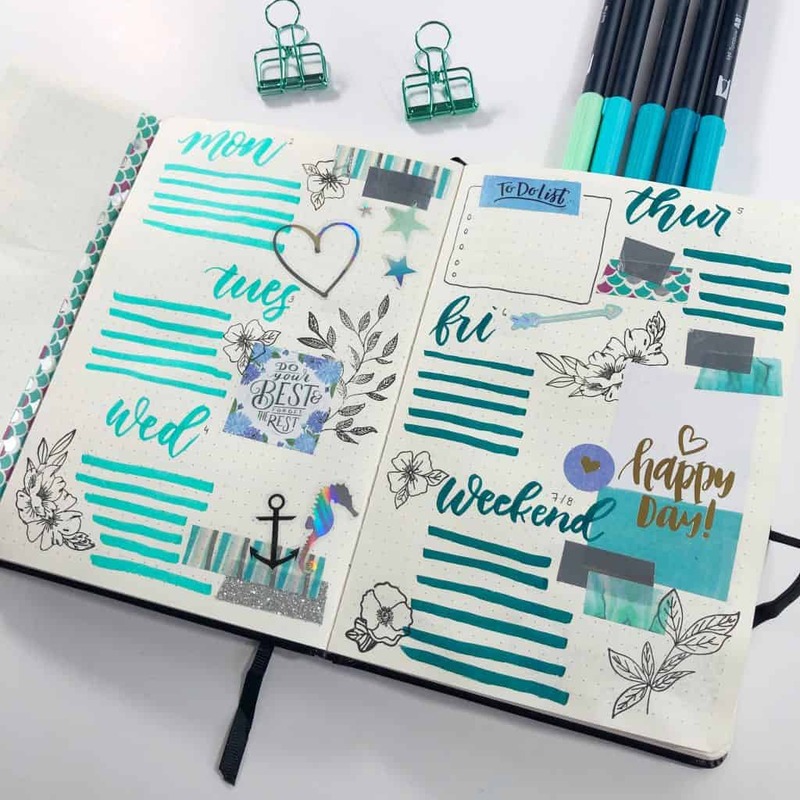 So tried some new editing skills and some fun spreads. 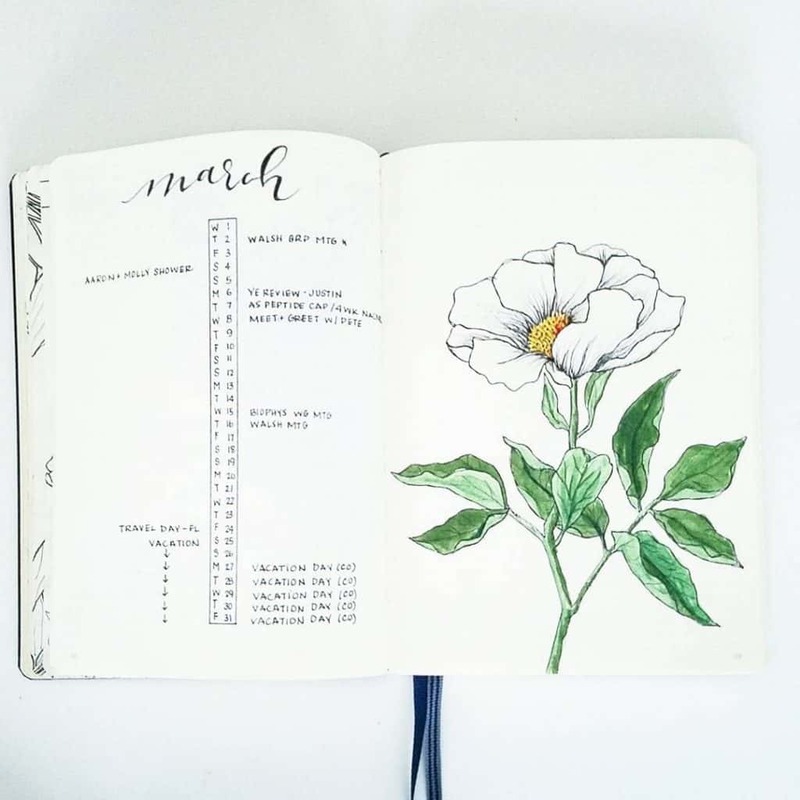 So I really just wanted a general practice! 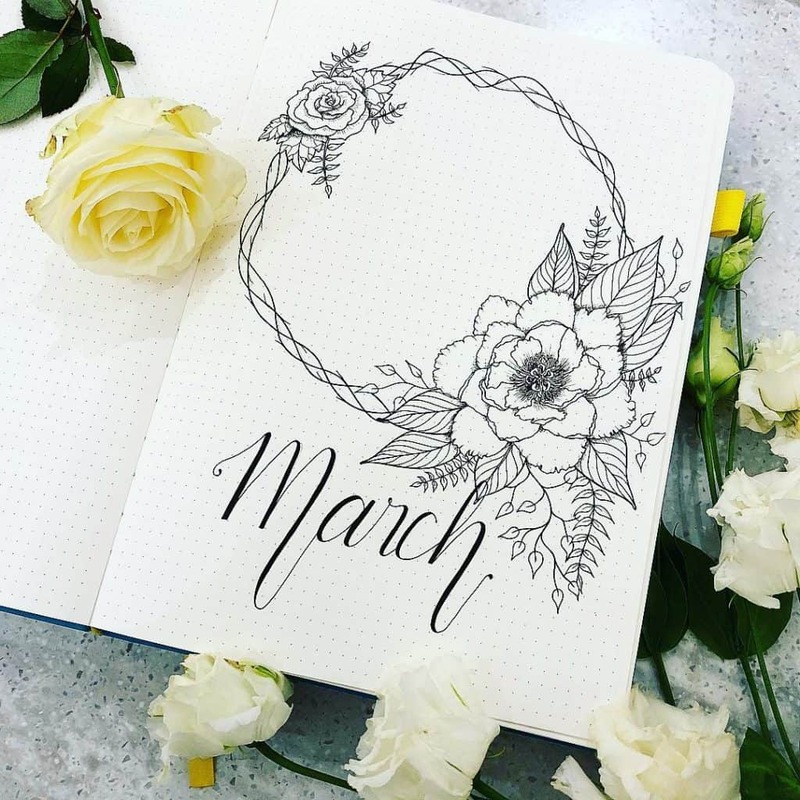 I started off with a monthly theme to follow through which was the ocean feel, and I personally love brining florals into everything I do – so chose to stamp some florals onto the page. 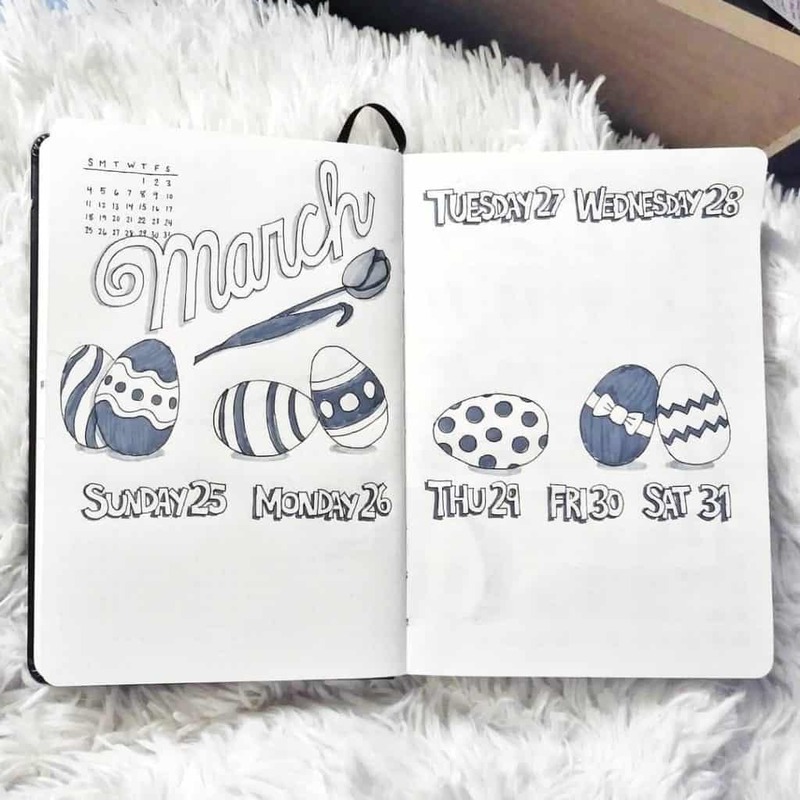 I loved using the “studygram” feel for one of my weeks too. 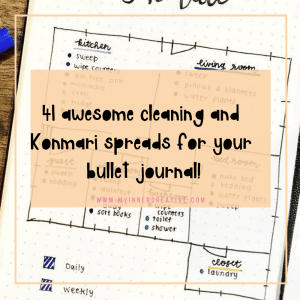 I love the dutch door feel from @thebujophase so added that in to! 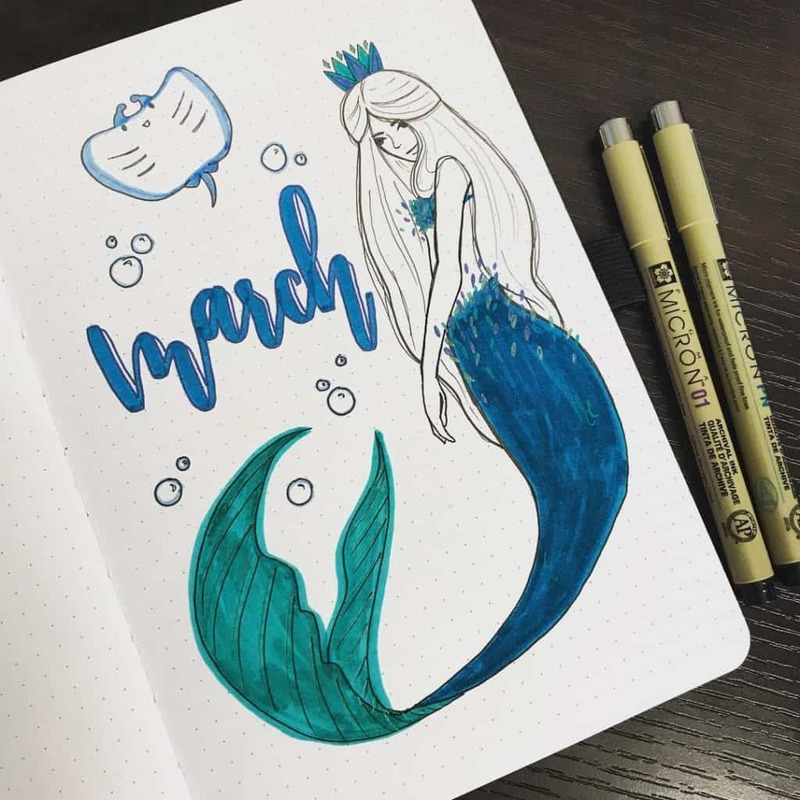 I really loved incorporating the ocean feel into this month as we start moving into Autumn here in NZ, it works well for not only that Autumn theme but also that fun feeling Spring theme! 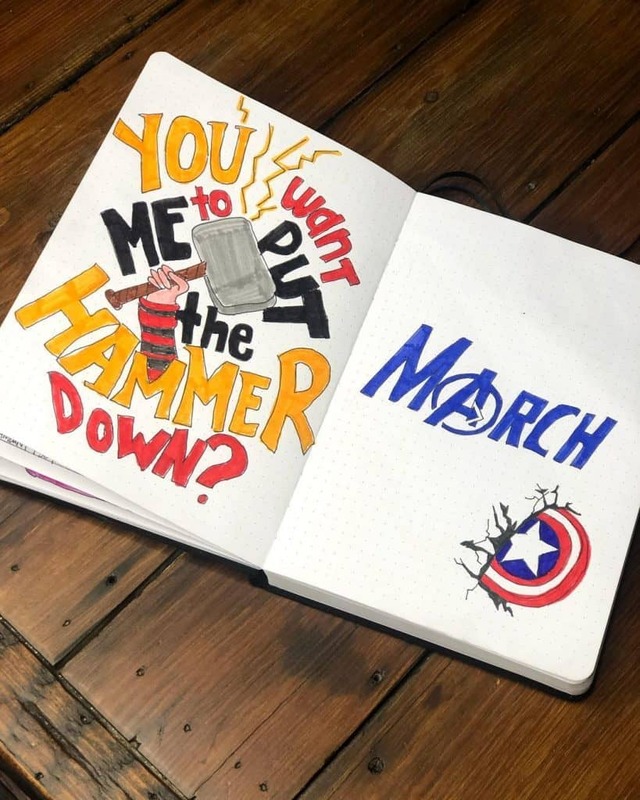 I look forward to seeing some of your recreations of the theme! 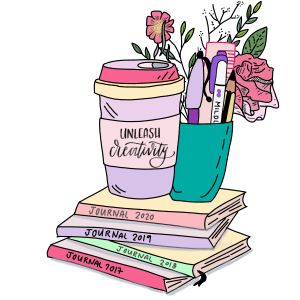 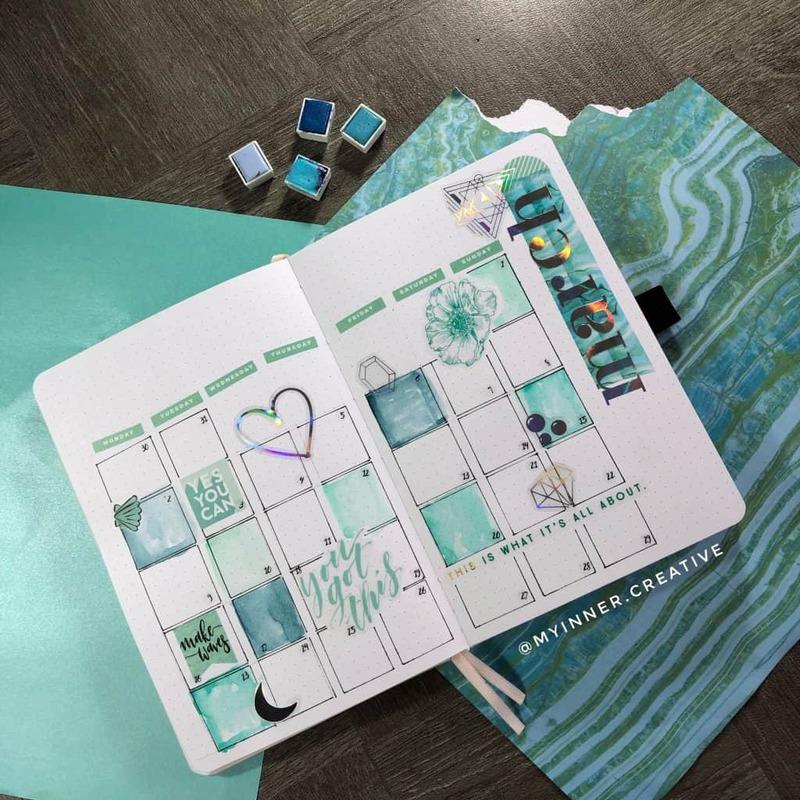 I actually loved the theme so much I did it a couple times – and even popped some into my 2020 journal! 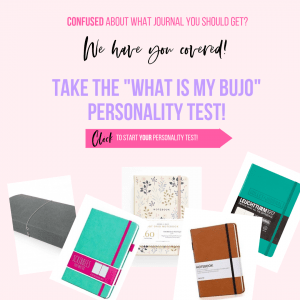 WHAT! 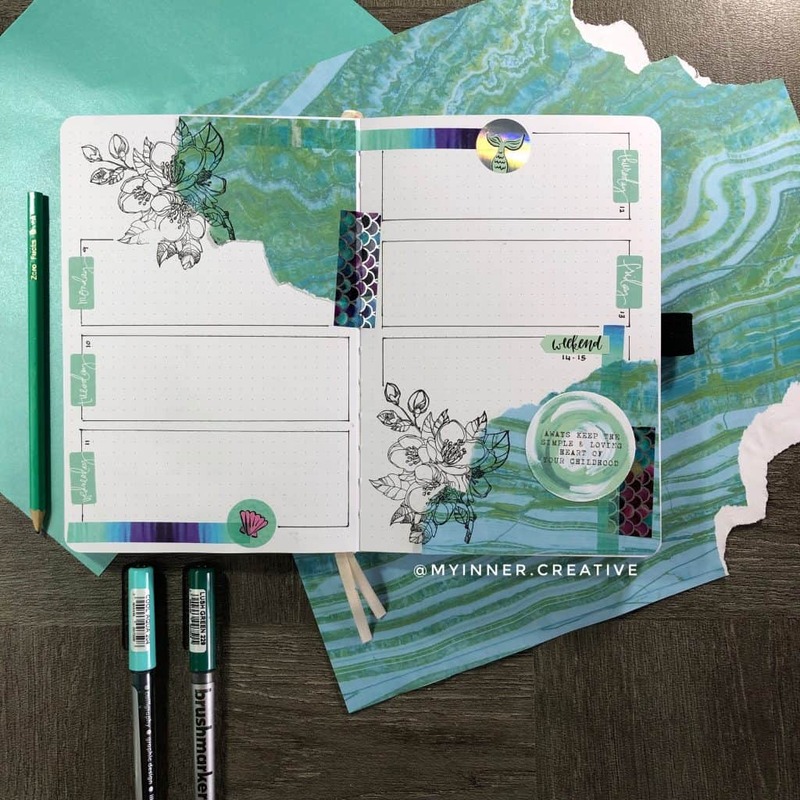 Yup – I have a 2020 journal I doodle and draw in when I can! 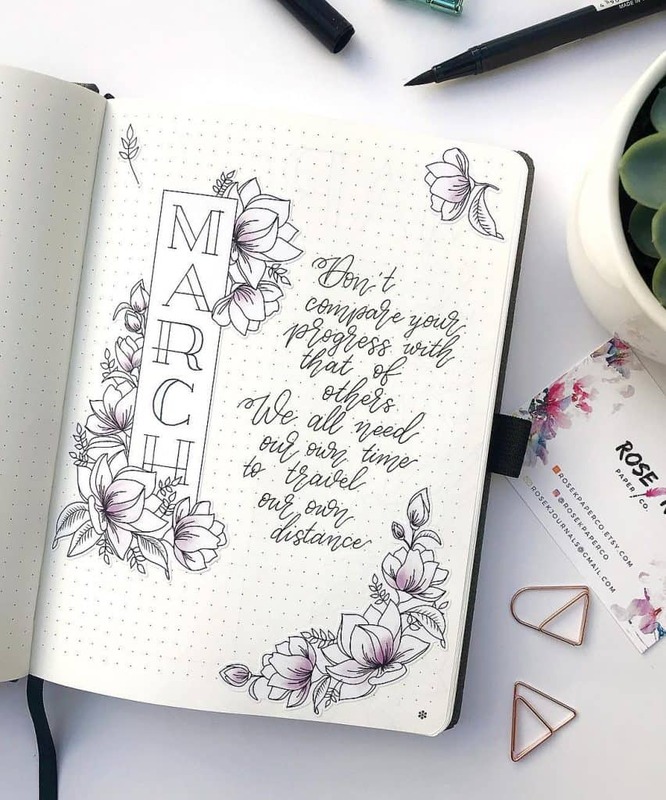 Our 20+ amazing featured March Spreads! 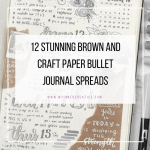 Top 12 Brown Bullet Journal Spreads from March!